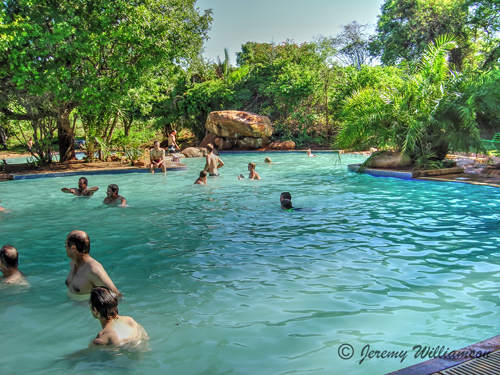 Berg-en-dal rest camp is situated near the Malelane Gate of the Kruger National Park and is securely surrounded by the Khandiswe Mountains, the highest mountains in the Kruger Park. There is a peace and tranquillity about the camp which is soothing for the 'city soul'. When the camp was built, very few of the original trees and plants were destroyed and for this reason the camp becomes almost seamlessly part of its natural surroundings. The accommodation buildings at Berg-en-dal were designed in such a way to blend in with the surroundings. 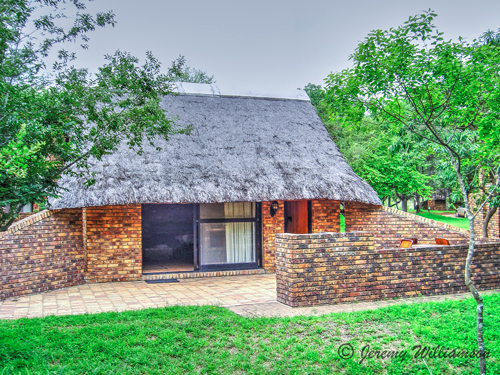 There are no rondawels as is found everywhere else in the Kruger Park, and the chalets are made with face brick and thatch giving it a rustic look. Berg-en-dal camp was designed to give maximum privacy to guests. None of the chalets face onto each other and each verandah has its own view. Berg-en-dal camp has a dining-room (providing five-course lunch and dinner and a cooked and / or continental breakfast), a cafeteria for lighter meals, a curio and grocery store and a coin operated laundry. The 92 chalets are self-contained with fridge, crockery and cutlery and are air-conditioned. There are also two guest houses. 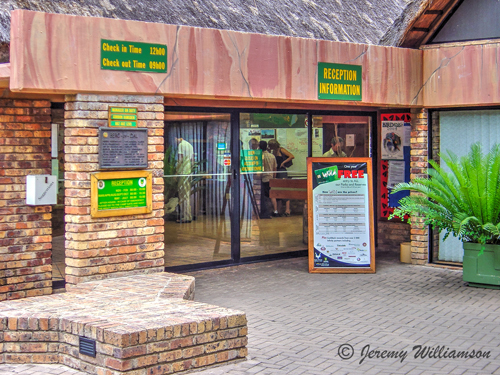 Berg-en-dal is one of four camps in the Kruger park to provide conference facilities, and this venue is the biggest. Every night, except Sundays, a wildlife documentary video is shown in an open area designed especially for this purpose. The camp shows some of the best documentaries on offer, among them Beauty and the Beasts - a seminal study on the behaviour of leopards that were photographed between Mala Mala and the Kruger Park. Night drives take a minimum of 10 people and a maximum of 20. Places can be booked at reception and morning and day drives are booked with the information officers themselves. These take place when there is sufficient demand. Berg-en-dal also offers something for those who want to spend a day in the camp and do some exploring by foot. The Rhino Trail is a Braille trail with distinctive trees labelled with information in English, Afrikaans and Braille. There are also animal skulls at different points, giving some idea of the proportions of the animals close-up. Berg-en-dal camp is also one of a few to offer the service of environment officers. They are living encyclopaedias of interesting information on animals and the fauna and flora of the Kruger National Park.